The axons of the ganglion cells of the retina converge at what aspect of the eyeball and exit from the eye at what nerve? Converge at the posterior aspect of the eyball and exit the eye at the optic nerve. The fibers from the medial side of each eye cross over to the opposite side at which eye feature? The fiber tracts formed after the cross-over point of the optic chiasma are called what? 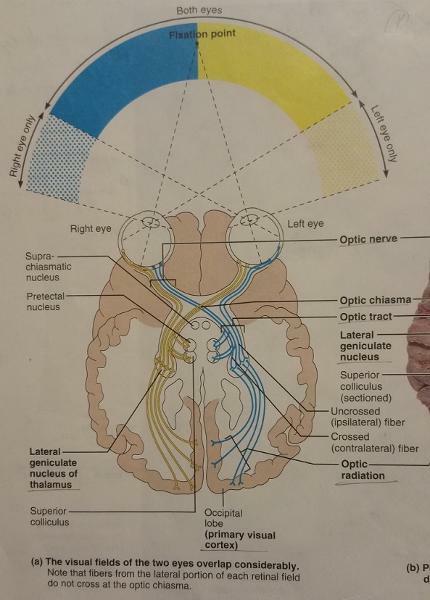 Each optic optic tract contains fibers from the lateral side of the eye on the (same/opposite) side and from the medial side of the eye on the (same/opposite) side. 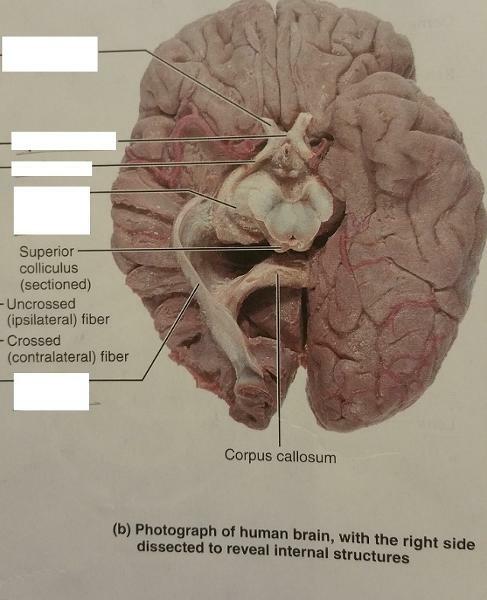 The optic tract fibers synapse with neurons in which feature of the thalamus? The neurons in the lateral geniculate nucleus that synapse with the optic tract fibers form what radiation? 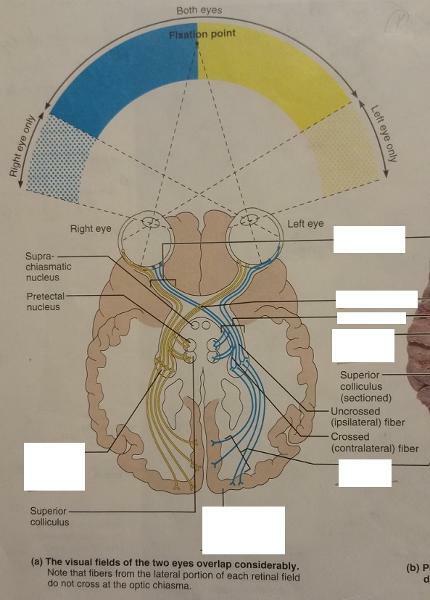 The optic tract fibers after synapsing with neurons in the lateral geniculate nucleus of the thalamus, whose axons form the optic radiation, terminates in which cortex of which lobe? Terminates in the primary visual cortex in the occipital lobe. 1. 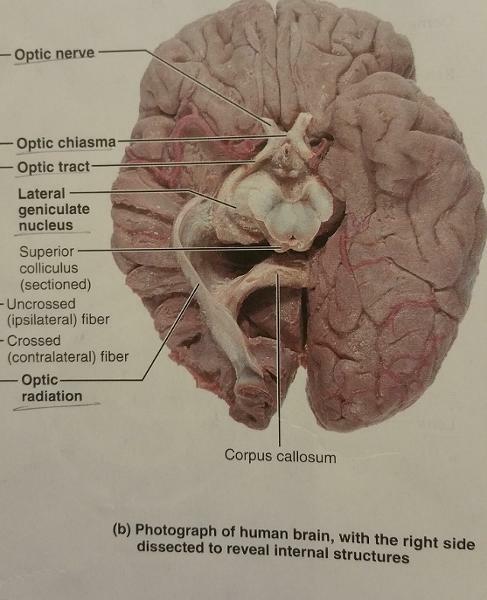 The optic fiber tracts after terminating in the primary visual cortex in the occipital lobe then synapse with what type of neurons? 2. Which type of interpretation then occurs? Determine what effects lesions in the following areas would have on vision.